Asian American LEAD Updates! 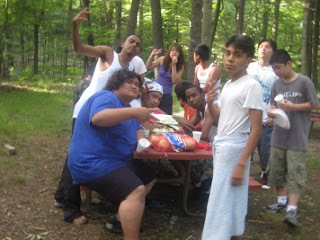 : AALEAD High School Camping Trip! AALEAD High School Camping Trip! On June 23rd, more than 30 of our DC and Maryland High school students embarked on a 3 day, 2 night trip in the woods of Western Maryland. Obstacle courses, night walks, and sleeping quietly were some of the challenges that our students overcame. We all returned safe and sound and ready for showers. Congratulations on a great 2008-2009 school year! Lets have an awesome summer everyone!